Play the Bloons Tower Defense game! 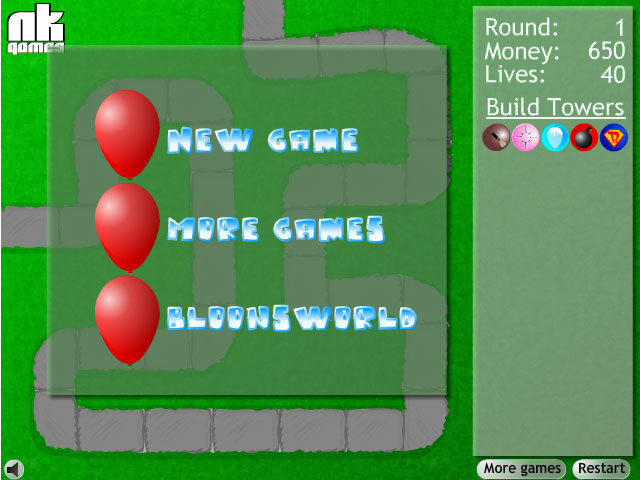 Stop bloons from escaping the maze by building and upgrading bloons popping towers. Let's see if you can make it through all 50 levels! Bookmark / Add Bloons Tower Defense To Your Favorite! Can't get enough of Bloons? Play more Bloons game below! The Bloons Tower Defense Game is copyright © to its respective owner.